Meet the Unihertz Atom, a smartphone developed by Shanghai-based manufacturer Unihertz. The Atom measures in at 93 x 43.18 x 17.18mm (3.7 x 1.7 x 0.7 inches) and weighs about 107 grams ( 3.79 ounces). This miniature device also runs Android 8.1 Oreo, features an octa-core processor with 8GB of RAM and stocks a 2,000mAh battery. 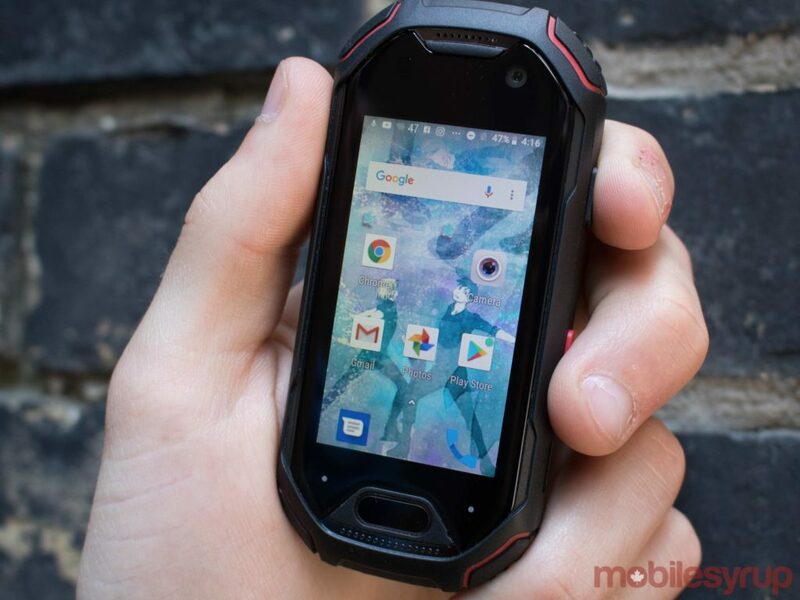 Further, this little guy features a 2.45-inch LCD screen, an 8-megapixel front-facing camera and a 16-megapixel rear-facing shooter. Xuyuan said the company noticed that people like using smaller smartphones, and while smartwatches are too small and not powerful enough a small smartphone is more ideal. “It should be smaller and powerful,” he said. The Atom isn’t Unihertz’s first small smartphone. The company first released the Jelly, which was designed as a secondary phone. The Jelly and the Jelly Pro were Unihertz’s first series of small smartphones, and only featured a 950mAh battery. While some users wanted to use the Jelly as a primary phone, it lacked a sufficient amount of battery, so Unihertz came up with the Atom this past October. Atom is designed for everyone. 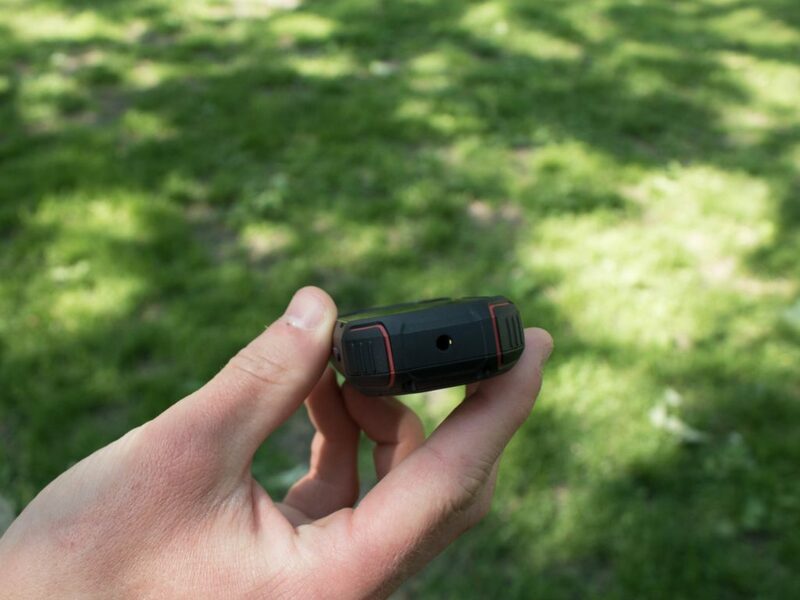 “It can make people’s outdoor adventures more fun and cool and it’s the amazing gift for geeks and nerds,” said Xuyuan. “Meanwhile, it’s the best choice for people who want a more durable and unique phone to shine their personality in daily life,” the founder continued. Atom uses stock Android, as the company found people prefer the vanilla operating system compared to a customized user interface. 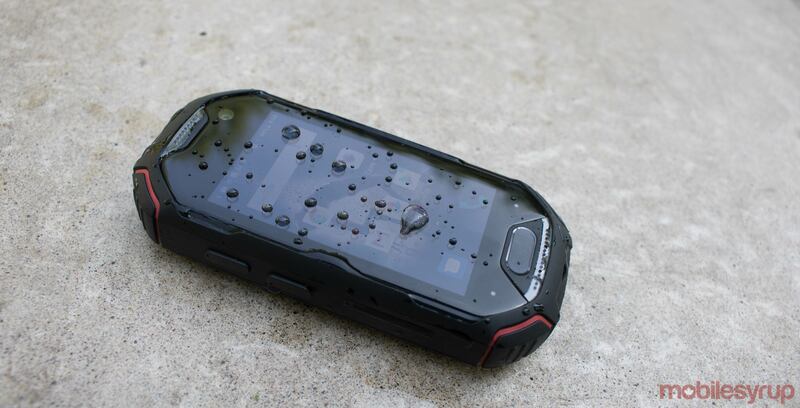 Additionally, the Atom is IP68 water and dust resistant and can definitely take a drop or two. Unfortunately it lacks a military grading, as it would “sharply” increase the cost of the phone. The Atom also has a few cool quirks, such as a ‘Face Unlock’ feature that works a bit differently than stock Android. On the Pixel 2 XL, for example, facial recognition will unlock your screen after which the user is still required to swipe up. On the Atom, the phone completely unlocks the display, going straight to the home screen. The Atom’s battery lasted me from 6:30am to around 11:15 pm with medium usage, mostly checking Facebook, texting and exactly 43 minutes of Netflix — yes, I watched Netflix on the small screen — and around 10 minutes of YouTube usage. If you’re taking it on an adventure, the phone should definitely last you the whole day. It uses USB Type-C and features a headphone jack for listening to music. It also has Bluetooth, as well as NFC. While the Atom doesn’t have a MIL-STD certification, I was definitely able to drop the phone on grass, concrete and submerge the phone under water. 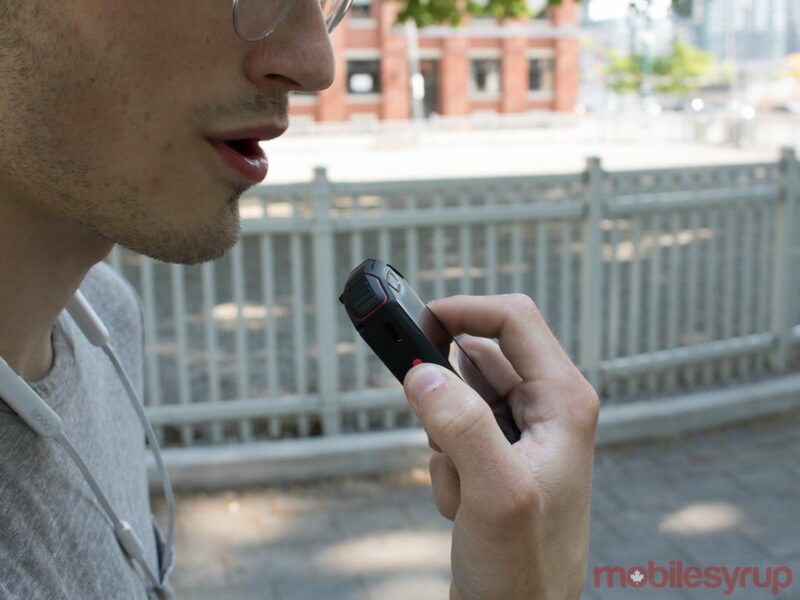 The Atom also has a push-to-talk button with an accompanying Zello app – that works via Wi-Fi and mobile data — allowing users to talk walkie-talkie with another across the world. As might be expected, the small screen makes typing very difficult. Using the swipe functionality definitely helped a lot, however. The Unihertz Atom was fun to use and I can definitely see people using it as a primary device. 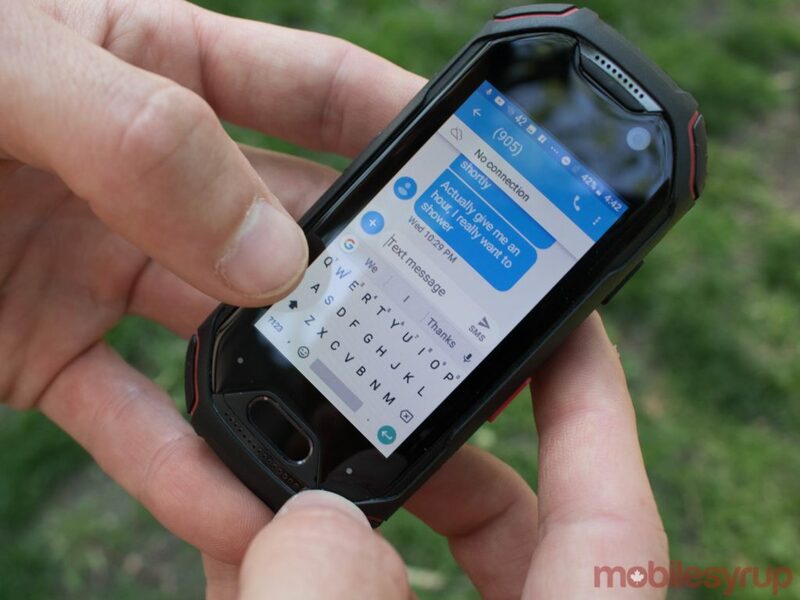 For instance, my more physically-active brother tends to prefer small devices that can fit more easily in his pocket, and needs his handsets to be durable. Personally, I could use the Atom as a secondary device. While I prefer smartphones with larger displays, I didn’t mind watching Netflix on the little screen, so having the full Android experience on a miniature secondary phone is somewhat useful for a person like me. However, Unihertz understands that the Atom isn’t for everyone. “It’s hard to make an ideal size fits everyone, and most of the people still love bigger screen nowadays. We try to provide a unique way to make people’s mobile life a little bit more fun. And we may try different size for our next product to meet the satisfaction of various demand,” said Xuyuan. So while the Jelly, Jelly Pro and the Atom are quite small, the next Unihertz smartphone might be a really big one.